Pft-pft-pft-pft-pft-pft-pft-pft-pft-pft-pft-pft…It’s the sound of a helicopter parent…Better duck! We hear a lot of “when I was your age” lamenting, but parents—myself included—need to see that we are a big part of the change in how kids’ lives are these days. Let’s face it, parents: we’re a bit nuts. 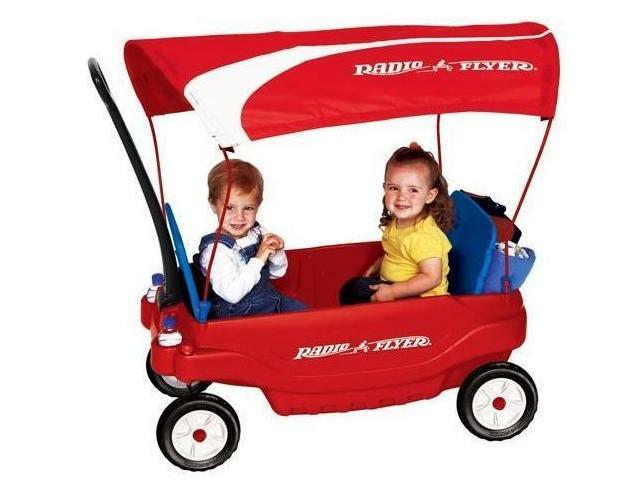 The wagon I had when I was a child was a slick red metal Radio Flyer. It was maybe five inches deep, and there were no bells or whistles to it. It was simple…the rest was up to you. My friends and I pulled each other in it. We pushed each other in it. We loaded it up and went on numerous adventures. We tied a rope to the handle and then tied the other end to a bike for extra speed. We found hills to see just how fast we could go and how badly the steering would be by holding the handle while riding. That wagon was a springboard to our imagination. When I was 8 or 9, I took my wagon and loaded it up with books I no longer wanted. I then—without my parents’ knowledge (which was not typical in my household)—went around the neighborhood trying to hawk the books. I sold one for 60¢ and was delighted…Until my wagon and I got home to a toe-tapping, arms-folded mother. I then had to have my dad accompany me back to the house where I made the sale and apologize and explain that I had been in the wrong. I must have looked sadly pathetic because the person gave me back my book AND let me keep the money. A small offset to my shame. Yes, my wagon and I have many memories together. Today’s wagons are…a little bit more involved. They are thick plastic with seatbelts. And cupholders. And canopies. And those are just the basic models. Others have coolers…tables…cargo storage…and more. I see them at the zoo, parades, the mall. Parents pull these wagons. After all, the child is belted in safely and passively taking in his surroundings. Watch out! They’re not belted in! They are so specific in design that they grow obsolete quickly. I can’t remember the last time I saw a kid older than 4 or 5 hanging around a wagon. Do we even know how fast these chubby plastic wagons go? Please don’t hear me as saying none of these differences is good or helpful. I’m all for child safety. But it seems to me that these kinds of wagons illustrate the current climate of parenting. Parents want to make it all good and perfect…but the truth is, it’s not. 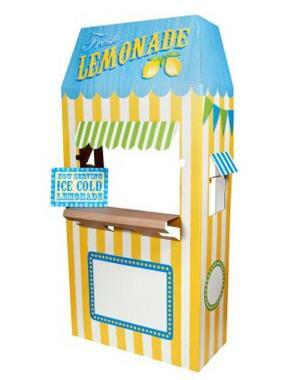 We have enough judgment in this world without my butting heads with a parent who buys her kid a $40 lemonade stand, but…come on. Do we have to design or facilitate everything for them? We need to let our kids breathe and explore…and make mistakes…and fail…and learn. We are doing them no favors by giving them trophies for merely blinking their eyes. I’m sure I fell out of my wagon and skinned my knees many times. But you know what I did? I got back in and tried again. And I need to do my best to let my kid realize that for himself, too. No, it is not easy to watch them learn “the hard way,” but sometimes it is the most important lesson of all. that they like the best! Yes, Suzanne–you are so right in adding in the “older” aspect of facilitating so much for our kids that they miss out on what it really means to accomplish it on their own. We are so well meaning! But perhaps a big nearsighted. I’m lifting my glass to red wagons and horse figurines right now!